Wendy Gan has been the acupuncturist at Grossbeak Chiropractic and Rehabilitation since 2004. Educated at the University of Shanghai, Wendy obtained her doctorate in Acupuncture and Traditional Chinese Medicine and has practiced in both China and Canada as a certified and licensed Doctor of Acupuncture and is a member of the Canadian Society of Chinese Medicine and Acupuncture (CSCMA).Wendy believes in educating her clients. She feels that if her clients have the knowledge in their hands, they can start facilitating the healing process and become more in tune with their bodies. 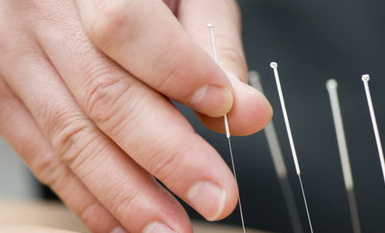 Acupuncture can be a very effective tool for relieving pain. There are a number of mechanisms, both direct, and indirect, that are responsible for this. Inserting needles into anatomical locations creates a very small injury, which your body must quickly heal. This stimulates healing of the surrounding tissues including muscle, fascia, nerves, skin, and connective tissue. 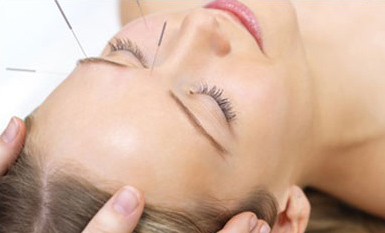 Indirectly, acupuncture has widespread effects on numerous tissues and systems in the body. One of the main mechanisms of acupuncture analgesia is the release of myofascial trigger points. There is a close correlation between traditional Chinese acupuncture points for pain and common muscular trigger points. As noted by R. Melzack, co-author of “The Gate Theory of Pain”, this represents a major convergence of Western and Eastern knowledge. The traditional Chinese “Ah Shi” (translates to ‘Oh yes’) points are frequently equivalent to trigger points, which are hyperactive bands of muscle that reproduce pain syndromes with direct palpation. Relaxation of “stuck” myofibrils, increased local blood supply, the release of spinal dynorphin and encephalin (endogenous opioid, or pain-relieving compounds) have all been put forward to explain the rehabilitative effects of trigger point needling. In addition to local needling, distal points below the elbow or knee are used to modulate the sympathetic nervous system and modulate pain signals at the source. Trigger points or “Ah Shi” points can be analyzed clinically by using direct palpation. The contribution of trigger points to the pathogenesis and maintenance of pain remains unknown, and is an important area of research that may well resolve many of the questions involving common pain states. The results of controlled studies which have been extensively reviewed show good evidence for the short term effectiveness of acupuncture in many pain states. The long term studies, particularly where the well trained acupuncturist has been given the freedom of (traditional) normal practice profiles, have been encouraging, with success rates far higher than those associated with the placebo response.